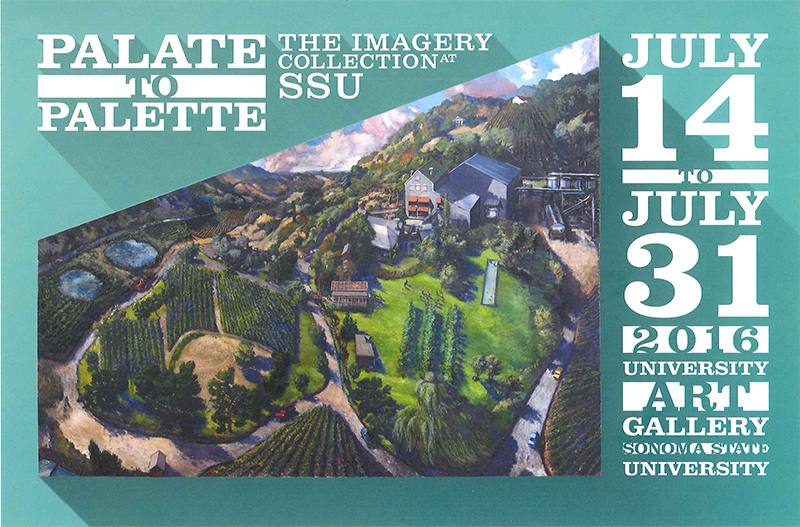 Imagery Estate Winery donated the 442-piece contemporary fine art collection to the University earlier this year. Each piece was commissioned to become a wine label, but the only requirement given to the artists was the incorporation of the Parthenon, a re-creation of which stands at Benziger Winery in Glen Ellen. "These images that people might be familiar with as wine labels, to see the original works of art should be exciting," says University Art Gallery Director Michael Schwager. "Some of the pieces are very large, and it's a chance to see the texture and materials you don't always see in the printed version." The exhibition will feature works by many significant artists from American contemporary art, such as Sol LeWitt, Robert Arneson, William T. Wiley, Pat Steir, Hung Liu, Nathan Oliviera, John Baldessari, Nancy Graves, Robert Hudson, Squeak Carnwath, Chester Arnold and several others. Many SSU art faculty and alumni are represented as well, including Bob Nugent, Kurt Kemp, Mark Perlman, Stephen Galloway and others. "It was always our hope that the collection would stay together and be exhibited in the years to come," says Benziger family member and former Benziger Family Winery President Tim Wallace. "We feel that Sonoma State is the perfect home for the collection." The University Art Gallery is open Tuesday-Friday, 11 a.m.-4 p.m., and Saturday and Sunday, noon to 4 p.m. Admission is free, parking is $5-$8 on campus. For more information call the gallery at 664-2295.